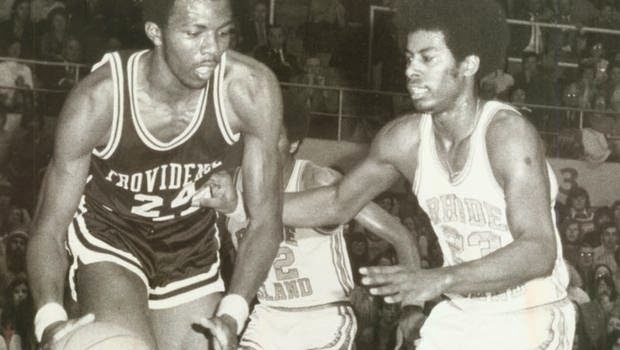 Marvin “Bad News” Barnes, arguably the best basketball player to ever play at Providence College passed away on Monday at his home in Providence. Obviously Marvin was at College on the PC campus long before I ever got there or before I ever really watched basketball at all (he began in 1971), but people still talked about how unbelievable of a player his was when he was there. His time, both in college and professionally, was marred by his well documented off-the-court issues that plagued him throughout his career and continued to follow him after he hung up his shoes. Marvin’s nickname “Bad News” was more than earned with all the trouble he got into. He also happened to come along during the ‘cocaine-era’ of professional basketball, which only compounded his troubles. I won’t go too far into the issues that he had off the court but let’s just say that they range from hitting a teammate in the head with a tire iron, severe drug problems, solicitation, and more. I’d rather focus on his talents as a basketball player. 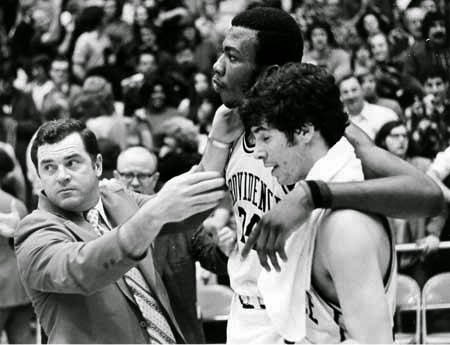 Barnes was born in South Providence and with the help of North Providence-grown Ernie DeGregorio they were part of the group that brought the Big East conference to the forefront of the national college basketball scene. An unlikely pair that gelled together both on and off the court. If you haven’t yet seen the ESPN 30 for 30 about the Big East Conference, I suggest you check it out as soon as you can. Now, how good was Marvin? He still holds the record for most points scored in a game for PC with 52. Since Freshman were not allowed on the Varsity team back in the early 70’s, after crushing the competition as a Frosh, he averaged 21 pts and 15 rebs as a Sophomore. His Junior year, the team made it to the Final Four against Memphis, took a double-digit lead, but then couldn’t hold on to it after Barnes twisted his knee on a rebound (he was an Honorable Mention All-American that year). His senior year, he averaged 22 pts and an astounding 18.7 rebs, a crazy amount that hasn’t been topped since that season. In the 1974 NBA Draft, Barnes was selected 2nd after Bill Walton. Instead of playing in the NBA, Barnes chose to go to the ABA where he averaged a double-double for his first two seasons. He bounced around through the NBA for a while after that but could never get himself straight long enough to come close to the potential that he showed in his younger years. I remember hearing a story about him when he was on the Boston Celtics about how he was at the end of the bench, snorting cocaine during a game with a towel over his head. Not only is that not a rumor or myth that is floating around, but that story actually came from Barnes himself. 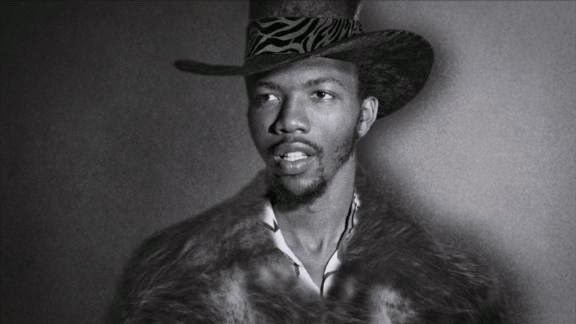 Marvin Barnes is one of those “What If?” cases that you will always wonder about. Regardless, 62 is still a pretty young age to pass away. R.I.P. Bad News. 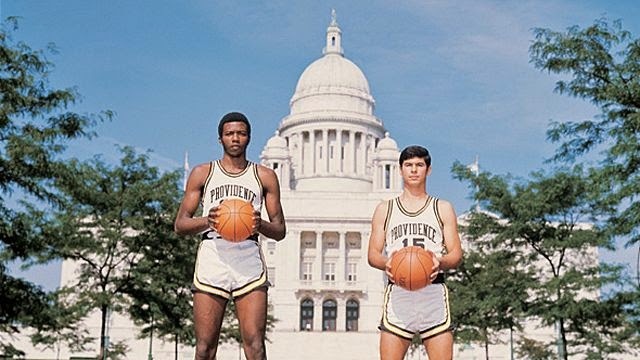 ABA, College Basketball, Ernie DiGregorio, Marvin Barnes, NBA, PC Friars, PC Men's Basketball, PCBB Alumni, R.I.P.